The marina at Pinecrest Lake. 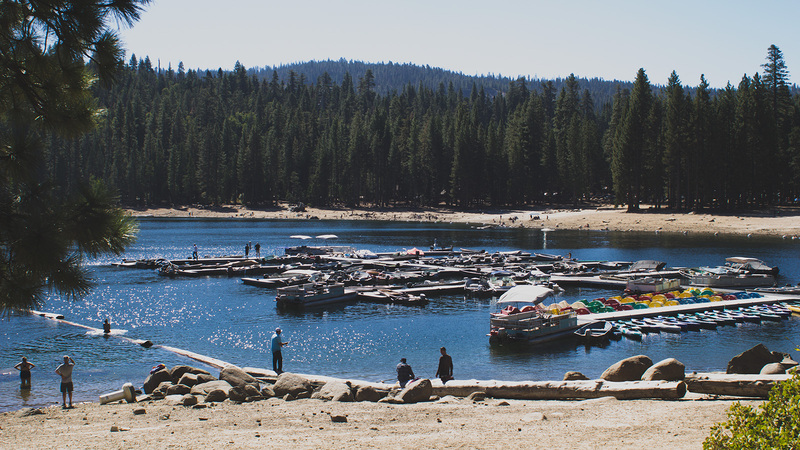 This trail is accessible from the Pinecrest resort at the western tip of Pinecrest Lake, which also includes a marina, general store, restaurants, and campground. The trail circumnavigates the lake, has paved sections close to the resort, but can be rocky in other spots. There are great views of the lake and surrounding mountains, and the trail traverses a dam that holds back the lake from the south fork of the Stanislaus River. Parking is free and plentiful at the resort. A leisurely hike while checking out the other activities at Pinecrest.